Four years ago, a white paper by the found that, at the time, nearly 66 percent of Internet users were unaware that smart home devices, services and providers were an option for them. Only 10 percent rated themselves “very familiar” with smart home options, and only eight percent said they knew where to buy the devices or services.ogy is on the rise. Today, those numbers have flipped. According to at Insurance Journal, 60 percent of consumers with homeowner’s or renter’s insurance in 2018 were seeking to purchase at least one smart home device that could detect or prevent damage or loss. According to at Inman, 80 million smart home devices were purchased in 2016, a 64-percent increase from 2015, and the increase has been steady over the past few years. More insurance companies are aware of the opportunities that smart home trends and technologies provide, too. A study found that 45 percent of property and casualty insurers surveyed believed that connected smart home devices would provide significant opportunities to improve risk assessment, enhance customer service, and differentiate insurance products and offerings for smart-home-savvy customers. And while pilot program challenges have slowed the integration of smart devices into homeowner’s insurance in some areas, according to , the relationship between these devices and insurance continues to develop. Here, we look at some of the biggest trends in smart home technology and how they’re affecting P&C insurers’ decisions regarding homeowner’s insurance. What Makes a Smart Home So Smart? On the surface, many smart home devices don’t look all that different from their predecessors. For instance, some of the most popular smart devices on the market include home security systems, thermostats, door locks and refrigerators. The difference often lies under the surface. Unlike traditional systems or appliances, smart home options can communicate wirelessly with the homeowner’s computer, smartphone or tablet. According to QuoteWizard’s , this connectivity allows the homeowner to interact remotely with the smart system or device: activating or monitoring alarms, adjusting thermostats, controlling appliances and monitoring security systems. Many smart home devices also have sensors that can alert the device to perform certain tasks automatically, like adjusting the temperature or activating a sump pump, writes The Ambient’s Paul Lamkin. And nearly all of them allow for use data to be collected and analyzed so that homeowners have a means of quantitative feedback about behaviors, needs or habits. Homeowners are increasingly excited to have their smart home devices talk directly to their insurance company, too. According to , Director of Connected Home Research at Parks Associates, “Twenty to thirty percent of U.S. broadband households are very interested in receiving additional services from their insurance provider” related to their smart home device, and 50 percent are interested in having the device communicate directly with their insurance company. State Farm Insurance became one of the first companies to take advantage of the smart home revolution, and that’s changed how the company offers insurance. In 2013, collaborated with ADT and Lowe’s to offer discounts to customers who used smart home monitoring equipment from their partner brands. State Farm has since expanded the program to include products from Canary and Generac. While the perks of using these various smart home monitoring systems vary, they typically include discounts for State Farm customers on equipment, installation or even their insurance premiums. Other options for increased security include smart devices that can turn lights on or off in and around a home. While light timers have existed for decades, smart timers provide more nuanced options that can match the patterns of the usual homeowner, making it look like the person is actually at home — and making the house “less of a target for a home burglary,” David Bakke of Moneycrashers.com tells Ochalla. Smart doorbell systems, such as the , allow their users to see who’s at the door, even if the user isn’t home. Many systems allow homeowners to communicate with the person at the door via their smartphone. offers a $30 discount to home, condo or renter’s insurance customers who use the Ring system as part of its smart home discount program. The insurer is testing out water sensors, cameras and other devices in a 600-square-foot model home built for the purpose, with the intention of expanding its support of smart home devices. These discounts are increasingly popular with customers. A study by NTT Data found that 64 percent of respondents were shopping both for smart home technology and a homeowner’s or renter’s insurance company that would give them a discount for investing in the tech, according to at NTT Data. The study also found that 53 percent of respondents were willing to leave behind conventional insurers entirely for tech companies like Google or Apple if those companies provided insurance coverage. Smart thermostats like Google’s Nest or Utilitech’s smart leak detector can help prevent pipes from freezing, shut off water to prevent or minimize flooding, and more. For these reasons, some insurance companies are starting to look more favorably on customers who have smart thermostats and similar sensors installed in their homes. Smart smoke detectors and moisture sensors are becoming more readily affordable and thus more popular. As American Family Insurance notes, smart smoke detectors or moisture sensors can automatically take steps to mitigate damage. They can also alert the homeowner or even the fire department if a problem occurs. Smoke detectors have long been a standard consideration in homeowner’s and renter’s insurance, so it’s not surprising that some insurance companies have started their foray into smart home discounts with smoke detection. 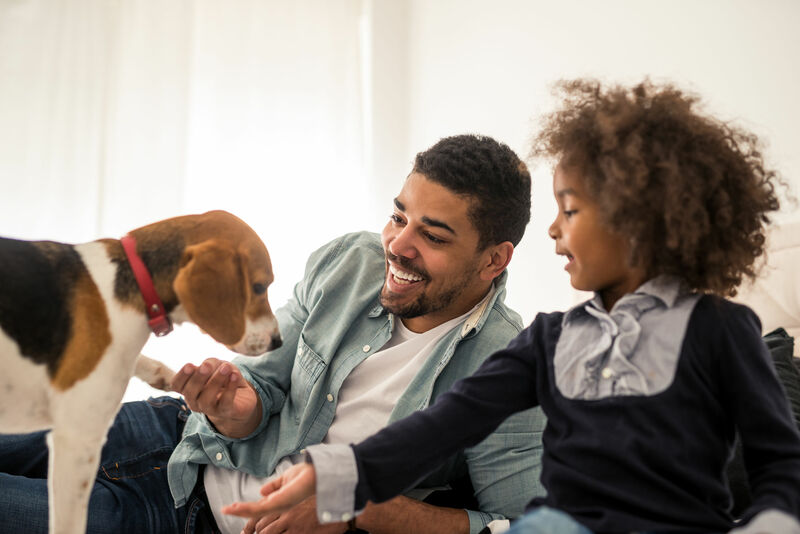 Liberty Mutual even offers a free smoke alarm, along with other insurance discounts, to those who sign up for the company’s home insurance program. “If somebody has some sort of temperature-monitoring system in their house, we give them a discount for that,” Pure Insurance VP of Risk Management tells Digital Trends. Arone also cites another benefit to homeowners who use smart thermostats: The system can raise the value of a home, making it more attractive once it’s placed on the market. Tools like these help “mitigate disaster, minimize loss of life, and keep home and property safe,” says Mary Miller, a board member of the . Although Digital Trends' predicted in 2015 that smart home devices would be mainstream by 2019, adoption hasn’t proceeded quite so quickly. Although prices on smart home systems are putting the tech within reach of an ever-wider range of families, many people hesitate to adopt smart devices due to concerns about privacy and safety, including the risk of hacking. Still, many insurance industry professionals predict a bright future for smart devices in the home. “We could see installation of intelligent devices, such as the Nest product or any other product, almost being considered alongside installing storm shutters on a house in Florida when calculating premiums,” Arone tells McGrath. , assistant vice president of innovation at USAA, describes an even more hands-on future for insurers in tech. Rather than simply considering smart devices in calculating premiums, Kowall predicts that the devices could serve as a “check-engine light” for homeowners. One of the best ways to take advantage of the smart home revolution is to offer smart home-related discounts — and to make sure your customers know about them. In an article for Control 4, QuoteWizard’s advocates for insurance customers to disclose their smart home systems to their homeowner’s insurance company, and to switch companies if their current insurer won’t consider their smart home technology in adjusting their premiums. But insurers don’t have to wait for their customers to bring up the subject. Proactive communication about offered smart home discounts can help insurers attract new customers and influence the buying behavior of existing customers in order to improve the company’s bottom line. Smart home devices provide benefits to insurers, too. Devices that sense or prevent damage could help prevent or reduce claims, notes in the Financial Times. At Mobiquity, explores the ways in which connected homes could speed up claims processing by communicating key data to insurance companies. Smart home technology is still a brave new world for property and casualty insurance companies — but it’s one that offers a world of opportunities to improve both risk management and customer service.